May 17th is a special day as it marks the Independence Day and the establishment of the constitution that was signed in 1814. It’s a National holiday and celebrated not only by Norwegians in Norway but also by those who are living abroad. The day is known for its parades with children and adults and the longest parade takes place in the capital each year. Each elementary school district arranges its own parade with marching bands between each school. The parades takes the children through the community as they make stops at homes of senior citizens, war memorials and many other places to pay their respects. 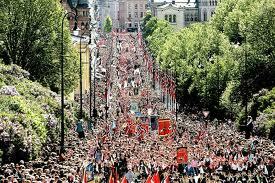 The Oslo parade includes 100 schools and marching bands as they walk through the city and pass the Royal Palace where the Royal family greets the people from the main balcony as children sing the national anthem and the royal anthem. The event is broadcasted on TV every year with comments and local reports from celebrations around the country. It is not enough to describe Norway with only one word. There is many aspects with the county that has made it one of the best countries to live in. First of all, the countries environmental policy has brought green solution, less pollution, more green areas and safety for areas where children play and go to school. The air is very clean as for the drinking water as well. 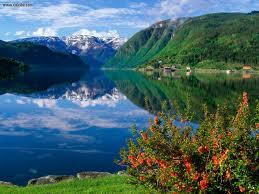 Norway is known for its beautiful nature and the fjords. Tourists come from all over the world to enjoy the green nature and the amazing rivers that looks like it’s taken out from a fairy tale. It’s a land of intense beauty as the Aurora shapes the sky with its different colors illuminating the mountains and deep rivers. I like to spend time by the harbor in Oslo in warm spring and summer days watching the ships sail and people walking by. As I travel around sometimes, I usually find myself spending time sitting on balcony of hotels from the Victorian era as I drink coffee. Besides being a kingdom, Norway has also one of the best democracy systems together with full freedom of speech. It is known to be a peaceful nation who always acts as peacemakers and negotiators rather than going to war. One example is the dissolution of the union between Norway and Sweden that happened in a peaceful way. Norway is ranked 16th out of 43 countries in the Europe region and with its high income tax, the population benefits well from it when it comes to health care, social help and welfare. The welfare system is stabile in the country and makes sure that everyone who needs help gets their basic needs. 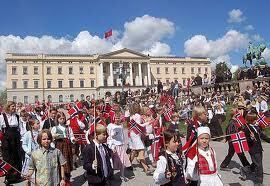 Norway is a constitutional monarchy where the King has symbolic power and the power is with the state. The politics takes place in the parliamentary representative constitutional monarchy. Executive power is exercised by the King’s council and the cabinet, led by the PM. Legislative power is vested in both the government elected within a multi party system. The Judiciary is independent of the executive branch and the legislature. Norwegian people are very friendly and warm people. They value human rights and are a peaceful nation. 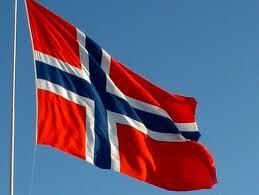 On this day, I congratulate every Norwegian on their independence day and wish for more peaceful years to come. Émile François Zola – J’Accuse! 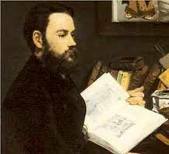 Émile François Zola, born in April 2 1840, was a French writer and one of the most important people of the literary school of naturalism and an important contributor to the development of theatrical naturalism. He also became a major figure in the political liberalization of France and in the exoneration of the falsely accused and convicted army officer Alfred Dreyfus. J’Accuse means “I accuse”, and this was exactly what Zola did when he defended Dreyfus who was falsely convicted. On February 23 1898, Zola was imprisoned in France after writing this letter to the French Government. Zola was born in Paris and his father, François Zola (Francesco Zolla), was an Italian engineer. With his French wife, Émilie Aurélie Aubert, the family moved to Aix-en-Provence in the southeast when Émile was 3 years old. Four years later, in 1847 his father died leaving his mother on a small pension. The family moved back to Paris where also Émile’s childhood friend, a painter named Paul Cézanne joined them. Here Zola started to write in romantic style. Before his breakthrough as a writer, Zola worked as a clerk in a shipping company, in the sales department for a publisher (Hachette) and would write literary and art reviews for newspapers. According to one story, Zola was sometimes so broke that he ate sparrows that he trapped on his window sill. During his early years, Émile Zola wrote several short stories and essays, four plays and three novels. After his first major novel, Thérèse Raquin (1867), Zola started the long series called Les Rougon Macquart, about a family under the Second Empire. Although Zola and Cézanne were friends from childhood and in youth, they broke in later life over Zola’s fictionalized depiction of Cézanne and the Bohemian life of painters in his novel L’Œuvre (The Masterpiece, 1886). 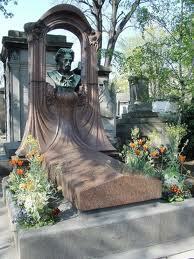 Then from 1877 onwards with the publication of l’Assommoir, Émile Zola became a wealthy man. He became a figurehead among the literary bourgeoisie and organized cultural dinners with Guy de Maupassant, Joris-Karl Huysmans and other writers at his luxurious villa in Medan near Paris after 1880. With L’Assommoir (1877, Drunkard), a depiction of alcoholism, Zola became the best-known writer in France, who attracted crowds imitators and disciples, to his great annoyance: “I want to shout out from the housetops that I am not a chef d’ecole, and that I don’t want any disciples,” Zola once said. His personal appearance – once somebody said that he had the head of a philosopher and the body of an athlete. Captain Alfred Dreyfus was a Jewish artillery officer in the French army. When the French intelligence found information about someone giving the German embassy military secrets, anti-Semitism seems to have caused senior officers to suspect Dreyfus, though there was no direct evidence of any wrongdoing. Dreyfus was court-martialled, convicted of treason and sent to Devil’s Island in French Guiana. Lt. Col. Georges Picquart, though, came across evidence that implicated another officer, Ferdinand Walsin Esterhazy, and informed his superiors. Rather than move to clear Dreyfus, the decision was made to protect Esterhazy and ensure the original verdict was not overturned. Major Hubert-Joseph Henry forged documents that made it seem that Dreyfus was guilty and then had Picquart assigned duty in Africa. Before leaving, Picquart told some of Dreyfus’s supporters what he knew. Soon Senator August Scheurer-Kestner took up the case and announced in the Senate that Dreyfus was innocent and accused Esterhazy. The right-wing government refused new evidence to be allowed and Esterhazy was tried and acquitted. Picquart was then sentenced to 60 days in prison. For this, Zola was brought to trial for criminal libel on 7 February 1898, and was convicted on 23 February, sentenced, and removed from the Legion of Honour. Rather than go to jail, Zola fled to England. Without even having had the time to pack a few clothes, he arrived at Victoria Station on 19 July. After his brief and unhappy residence in London, from October 1898 to June 1899, he was allowed to return in time to see the government fall. The government offered Dreyfus a pardon, which he could accept and go free and so effectively admit that he was guilty, or face a re-trial in which he was sure to be convicted again. Although he was clearly not guilty, he chose to accept the pardon. 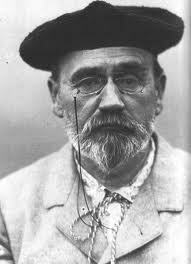 Emile Zola said, “The truth is on the march, and nothing shall stop it.” In 1906, Dreyfus was completely exonerated by the Supreme Court. The 1898 article by Émile Zola is widely marked in France as the most prominent manifestation of the new power of the intellectuals (writers, artists, academicians) in shaping public opinion, the media and the state.